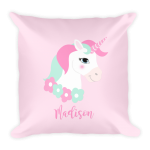 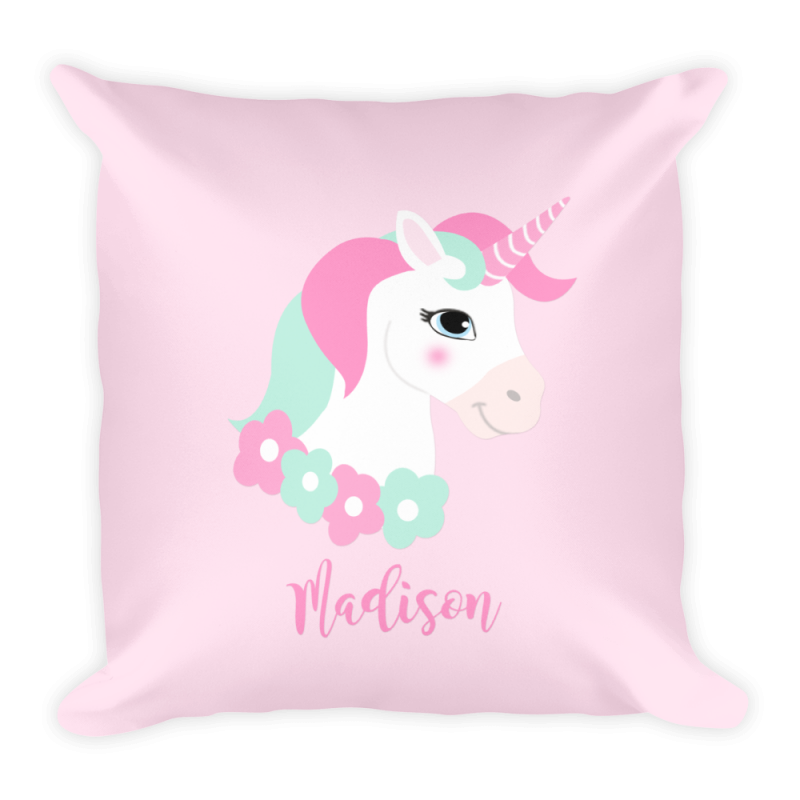 This personalized unicorn pillow is soft and a stylish addition that gives character to any space. 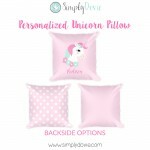 It comes with a soft polyester insert that will retain its shape after many uses, and the pillow case can be easily machine washed. Made in the USA. 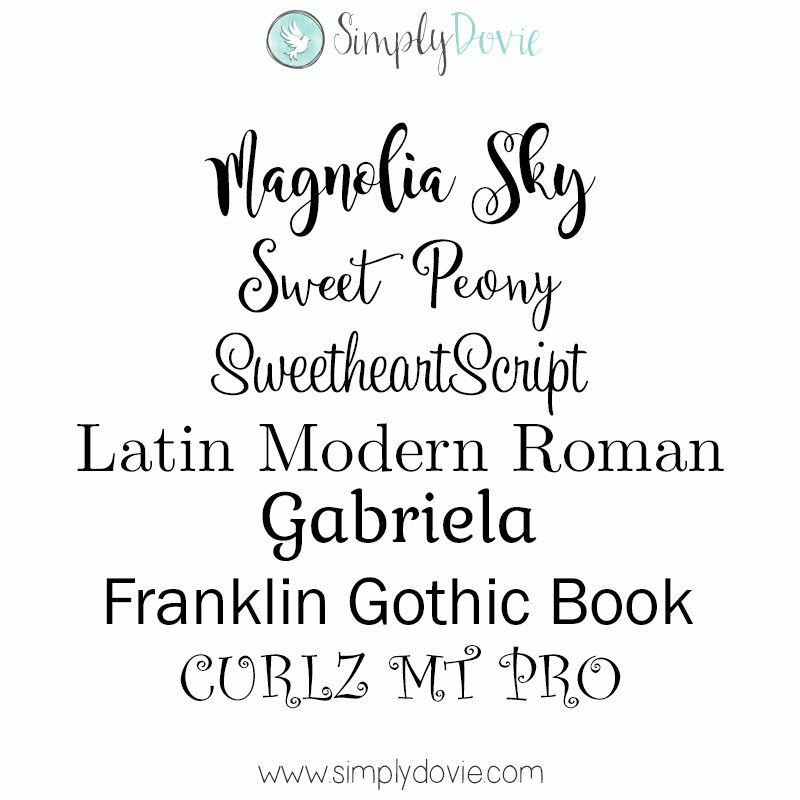 Copyright © Simply Dovie, LLC. All rights reserved. 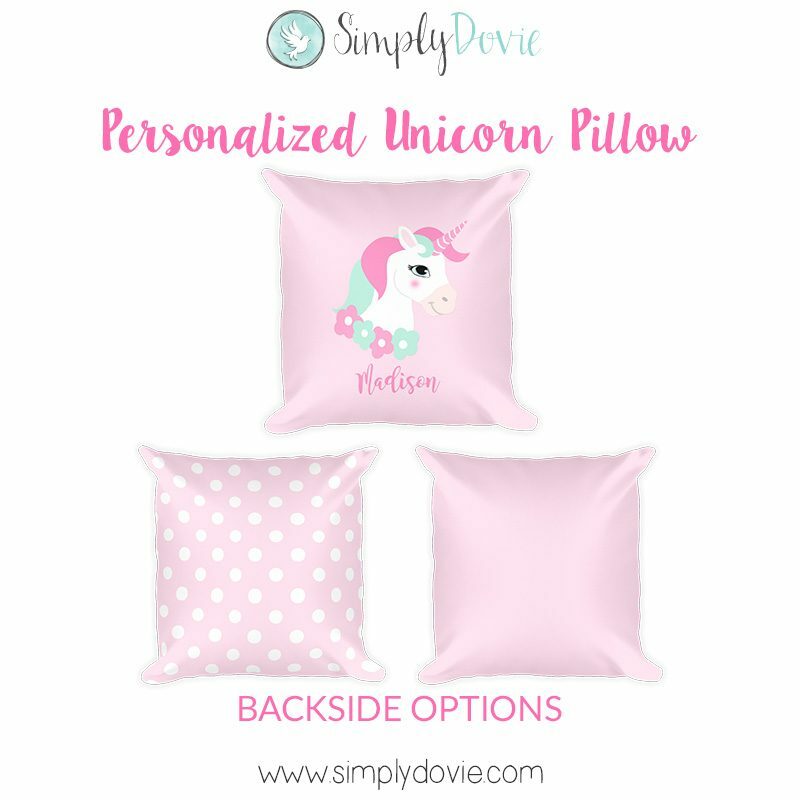 Original design by Simply Dovie, LLC. 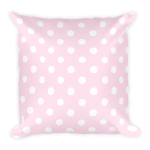 This graphic design is not to be copied, modified or redistributed in any way. 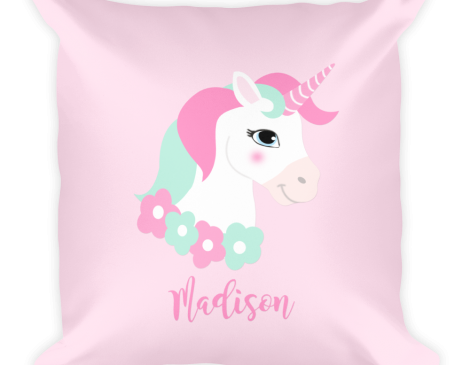 Purchase of this product does not transfer its design copyright.